By now you will have set your plans and goals and identified the habits, rituals and routines you need to succeed, but by the end of the year there’s a good chance you will have failed. We’ve all been there too many times. And while there may be many reasons for being in this position (again) one thing is clear: if you haven’t made sure the right ‘you’ is on board to make it happen, then it won’t. How we define ourselves determines our perception of what we believe we are capable of and ultimately our actions. This is because we always act in accordance with our self -image. So, for example, if you believe that you are a person who struggles to lose weight, then your subconscious mind will try to ensure you act consistently with that self-image and sabotage your 2016 exercise and diet plans. Put simply, our identity is our OS. Our current identity and self-image is the result of inputs of data from multiple sources over a period of time going right back to childhood. These inputs include how others describe us (in particular parents and teachers) and our experiences, including successes and failures. A person who has had many failures may choose to define themselves as a failure, rather than look to the example of Richard Branson and recognize they are in good company. A more empowering description is that of someone who is working towards success and has failed along the way. Given the critical importance of ‘active optimism’ this is plainly a far more empowering and useful self-image. The views of others can have a powerful impact on how we shape our identity and perception of our abilities. The ‘Pygmalion Effect’ refers to the phenomenon whereby higher expectations lead to higher performance. Several decades ago the authors of ‘Pygmalion in the Classroom’ demonstrated that when teachers expect students to do well and show intellectual growth, they do; when teachers do not have such expectations, performance and growth is low. Your identity, like your beliefs, is not set in stone. You may have previously decided you are someone who cannot lose weight or cannot make your business profitable, until you do. And the moment you do, you prove your previous belief to be wrong. Rather than wait, take responsibility for defining who you are and reap the benefits of believing you are capable of great things. The following process will enable you to upgrade your identity. Get Clear on Who You Think You Are today. The first step is to get clear as to how you currently perceive yourself. Set aside some quiet time and create two columns on a sheet of paper and in the left-hand column write down (your brain prefers this to typing) the key elements of your self-image. Challenge the Assumptions. In the right hand column, prove those negative aspects of your self-image to be wrong. Challenge the foundation for the assumptions e.g. if you have defined yourself as a failure because you have failed in the past, demonstrate the flawed logic of ‘Failing = Failure’ by simply acknowledging the fact that most successful people have failed many times. Create Your New Self-Image. Now write out a new identity for yourself that reflects the person you need to be in order to achieve what’s most important to you. Write as though you are already that person e.g. ‘I am focused and driven’. Your identity statement need only be a few sentences. Ideally do this step of the process when you’re feeling good. If necessary, make yourself feel good by playing your favorite music track or doing whatever works for you. Once you’ve created your identity statement, read it out aloud once a day, ideally in the morning. Stand strong when you’re reading it and say it like you mean it. Engaging your body and emotions while reading your statement out aloud is the most effective way of installing your upgrade. If you can do it like these guys then all the better. Reinforce. To make this upgrade as effective as possible, there are two further steps you should take. The first is to visualize. Visualization is a highly effective process for rewiring your brain and is widely used by athletes and the military. Spend 3 minutes at the end of every evening visualizing yourself acting in accordance with your new identity. It’s important that you do not focus on your desired outcomes but on your actions and behaviors. Although this process is short, you need to make sure you are somewhere quiet and won’t be disturbed. The key to effective visualization is making it as real as you can in your mind. See, hear and feel yourself acting in accordance with your new self-image. The more you visualize, the easier and more effective it becomes. 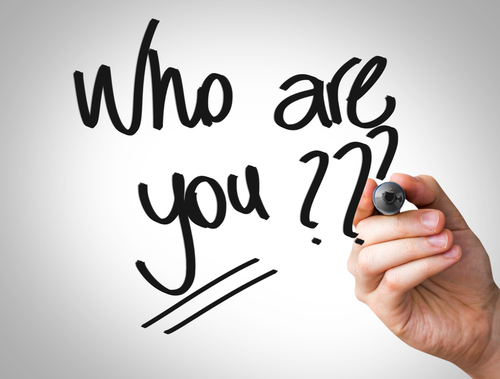 The second technique that will reinforce your identity is ‘acting as if’. William James, regarded by many as the father of American psychology is credited with first introducing the concept of ‘acting as if’ in his lecture ‘The Will to Believe’ published in 1897. When you ‘act as if’ you already have the quality you desire, your Reticular Activation System which resides in your brain, directs your behavior to narrow the gap between your present situation and the desired situation. Now you know how, upgrade, enjoy and win! Martin Soorjoo works with individuals and teams to increase their Performance and Resilience.